Add some sophisticated sparkle to your cards, gifts and papercraft projects with the beautiful Glamour collection designed by Sara Davies. 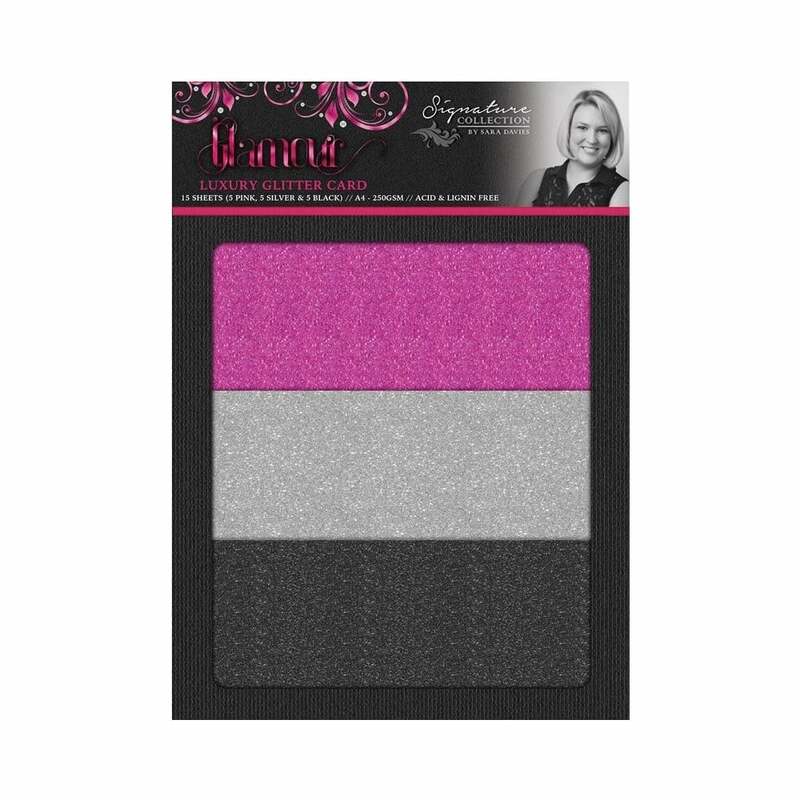 Part of Sara's Signature Collection, the range includes both glitter and mirror card packs in a hot pink, black and silver colour palette, as well as embossing folders, gems, pearls and ribbon. Dies in the range include clutch bags, fans, heels, silhouettes and flourishes, perfect for feminine birthdays and milestone occasions throughout the year.